Vintage Needlepoint Design Gets a Facelift! I’ve been scouring used bookstores looking for needlepoint books. It’s so much fun and among them I’ve found found some great needlpoint designs. What better than to give them new life in our needlepoint kits. These old books can be so inspiring and I love making something new from something old. Our Ambert Pillow kit is the first example of design inspired from these vintage books. All of our pillow kits can be personalized in your own color choice to fit in whatever cozy setting you are plan to create with them. The image below includes two different color options but we are happy to customize this kit to your color needs! 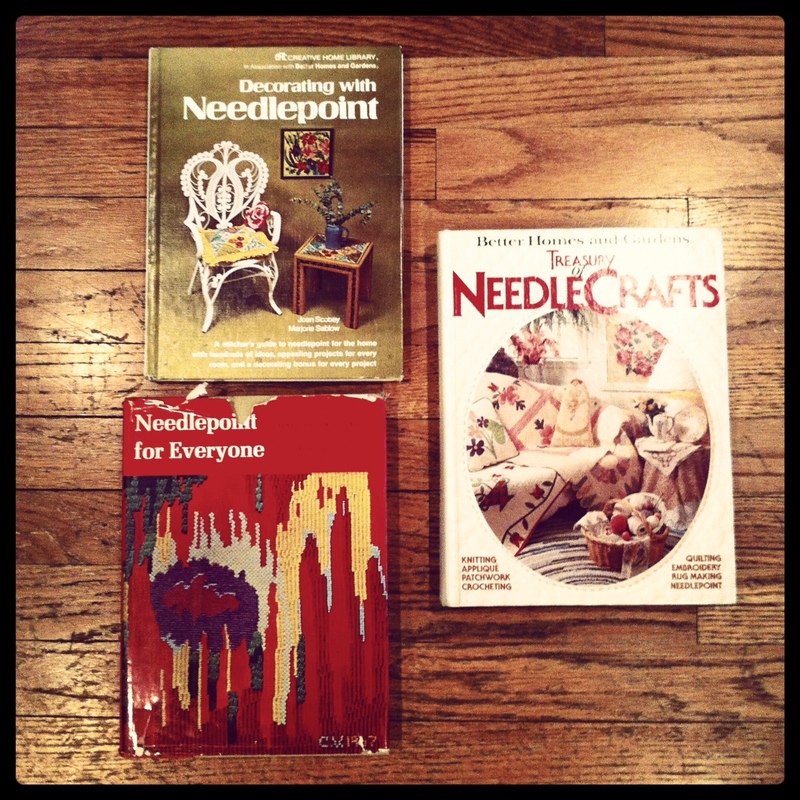 Vintage Needlepoint books, great inspiration! 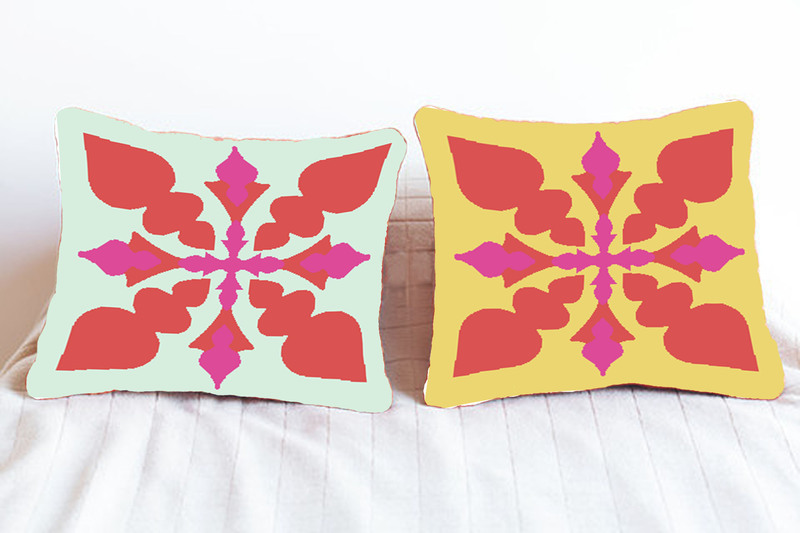 This Ambert pillow design looks great in 2 different colorways. Quilt Designs Look Great in Needle Point Too! Our latest needlepoint kit is a deconstructed quilt. 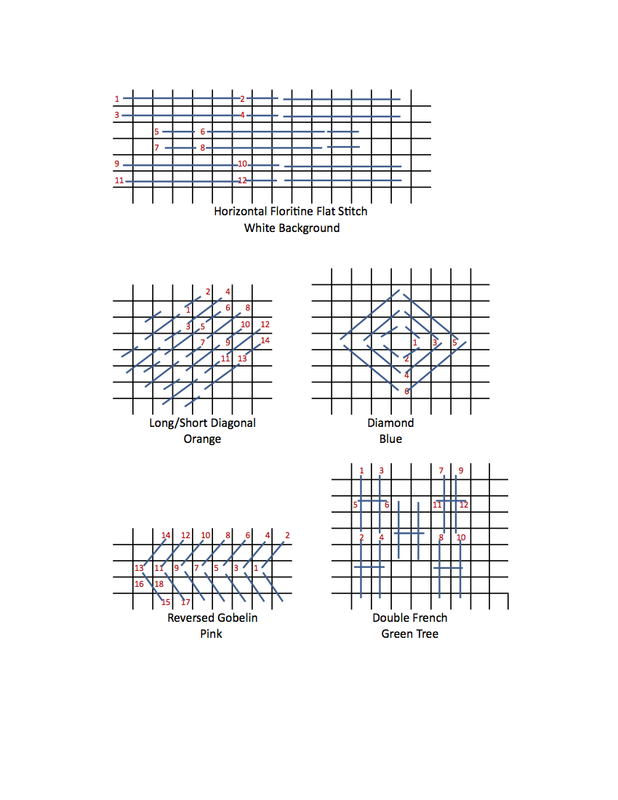 The geometry of quilt designs can be very inspiring for art work and shape patterns. I decided to try it on a pillow and it turned out quite nice! Turn your favorite quilt into a custom needlepoint canvas and make a pillow to match your bedroom. Or just use our pre-made design and maybe even make a quilt to complement. 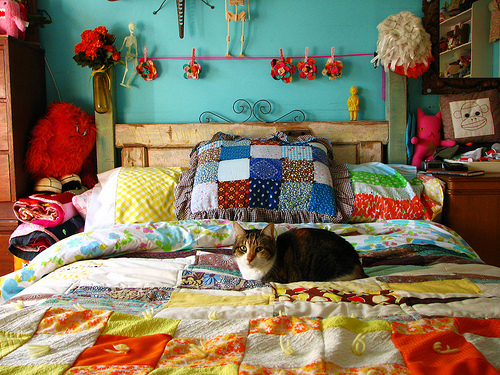 A colorful pillow can add some eclectic flare to your room and give it a warm inviting feel. This beautiful pillow is part of our bargello series, but may be the start of a quilt inspired series. Give us your feedback! Time to start stitching!! Shauna came up with this needlepoint belt design last week! The theme behind this needlepoint design is the old VW beetle going to the beach with surf boards on top. I’m lucky to have had the experience of driving on the beach in one of my friends beach beetles! Who knew this funky popular 60’s design originated in Italy with a line of chairs. The Bargello castle in Florence, Italy housed these beautiful patterns first designed by Hungarian stitchers in the 17th century. The long lines work perfectly for needlepoint pillows and prove to be a challenging stitch. 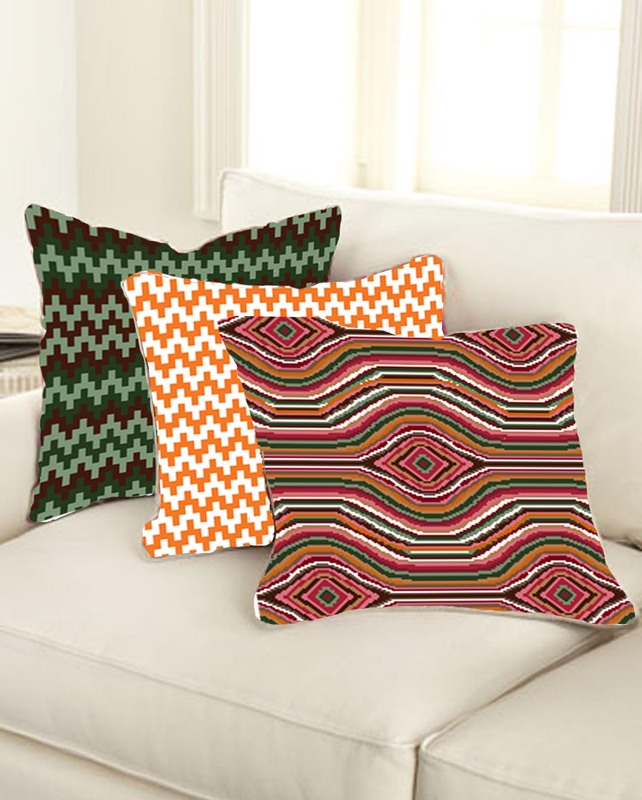 Pillows work as a perfect canvas to express these Bargello designs and beautiful colors. The needlepoint patterns often mimics a wave or flame but of course more geometrically in needle point. I have been working on designs that utilize colors that will work in a modern home but pay homage to the beautiful art form. 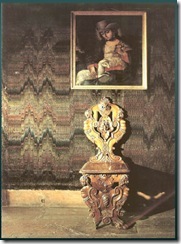 The image below shows the antique version of Bargello in a wall covering. Add some spice to your room and get stitching with these designs. 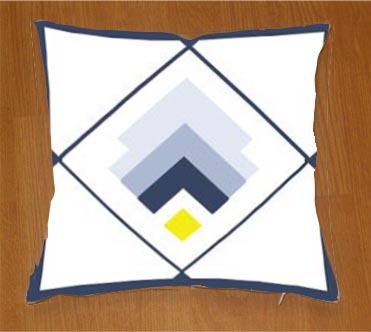 These pillow designs can be found on Needle Paint. They work well alone or paired together. The colors can be changed out to accomodate your room or season. The color pallette I chose for this pairing is a fall medley. Barapur and Puebla Needle Paint designs. Stay tuned for new designs from Needle Paint! We have been at the drawing board and will have something new for you each week! New Modern Needlepoint Pillow Designs! We have added more needlepoint kits to our website including some modern needlepoint designs! 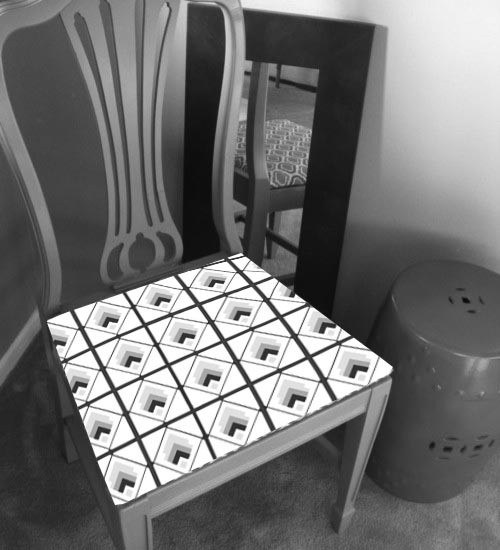 This one is a contemporary geometric pattern. This Tulare needlepoint pillow design is inspired from a vintage furniture book showing chair textile patterns. I have shown it in a smaller application on a seat cover below. Also, check out the larger pattern on a pillow application! This accent pillow would go beautifully on a white or tan bed coverlet or sofa. It gives any room a excellent modern touch. Are you running out of time to finish multiple stockings this year? If so, our Belle Noel Needlepoint Christmas Stocking collection may be just what you need. 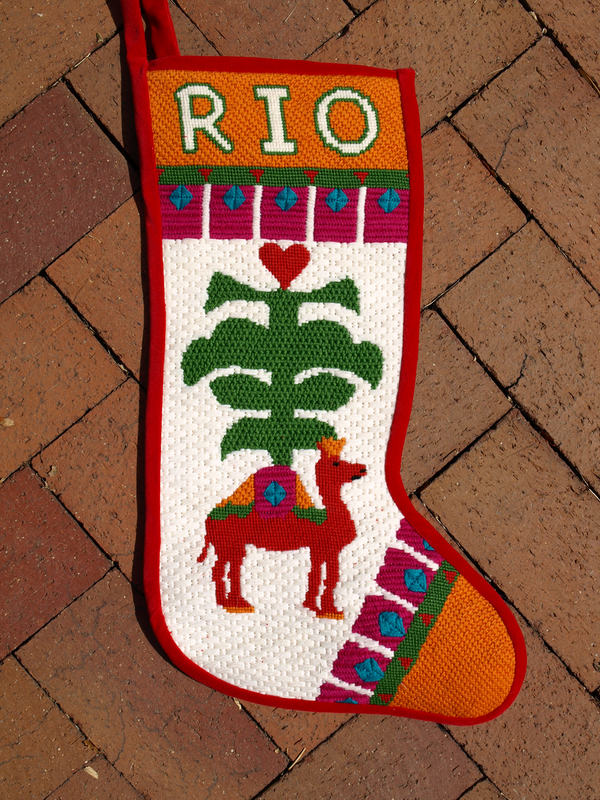 Not only do they look great, but Peggy finished this stocking in just two weeks! Long stiches cover the canvas quicker and give a 3-D texture to your stocking. The wool thread also adds to the textured appearance. There are four christmas stockings in the collection, so everyone can get their own version. Each design is available as a personalized needlepoint kit.